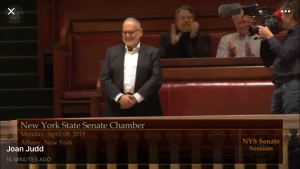 Being recognized by The State of New York’s Legislative Body on the Senate floor validates Walk With Frank and my philosophies towards education. 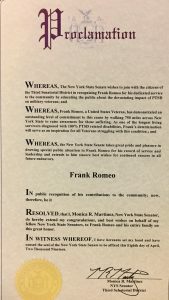 It establishes my work as a viable educational tool towards teaching, understanding, and dealing with PTSD. 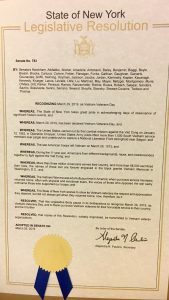 First adapting a Resolution then given a Proclamation in my name my program was discussed openly to a standing ovation.